“The world is a moving maze of signs,” Muñoz Molina writes early in his kaleidoscopic new novel Like a Fading Shadow. It’s a potent warning of what’s to come: partly an autobiographical writing memoir, Like a Fading Shadow shifts ethereally into new directions as it unfolds. Muñoz Molina is a character in his own story: he narrates every other chapter with arresting digressions about writing prose and its immersive rhythmic possibilities. These writerly reflections run on two concurrent timelines: most of the book follows a young Muñoz Molina in 1987 around the time of the completion of his early novel A Winter in Lisbon but an aged, present-day author is there as well. He provides an additional layer of wisdom and lends the novel a tricky temporal refraction. But, there’s a third thread: a meticulously researched third-person biography of a criminal on the lam — a sinister story on this mirror’s verso. It is dizzying and confounding to read as these threads blur into overlay, and astonishing (albeit somewhat exhausting) to witness Muñoz Molina disappear into the novel’s tangled timelines. “I’m living in two worlds and two times, in the same city,” he writes. 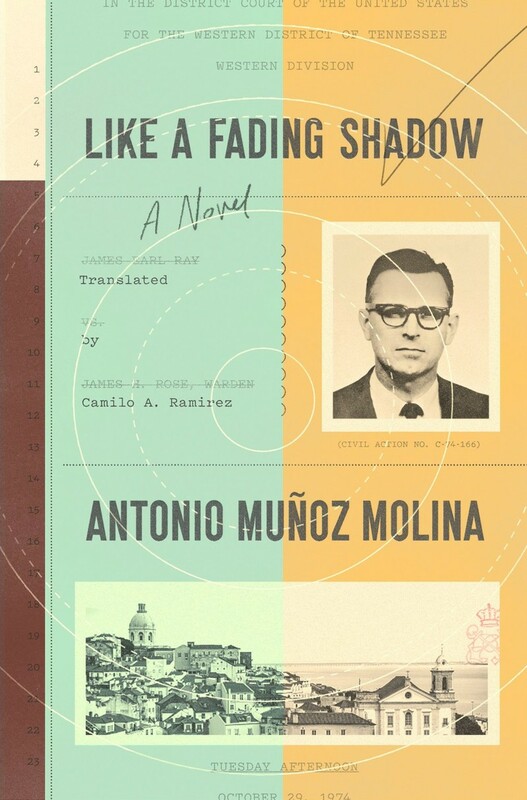 Discussing the identity of this true-life criminal is a personal point of contention, as I feel the novel’s jacket flap, cover artwork, and marketing team do the book a great disservice in revealing what Muñoz Molina is actually up to. The criminal’s true name appears only a handful of times throughout the novel and I find it difficult to believe that the author would want readers to watch him dance around this revelation while knowing already who the novel is actually about. It’s 1968, between late spring and early summer. This criminal had previously escaped from prison, and appears to be fleeing a major incident. He’s perpetually nervous, travelling under the anagrammatic-sounding pseudonym of Ramon George Sneyd. He’s made it to Lisbon, where he has to stay for a few days while he attempts to collect the travel documents that would allow him to disappear into Africa. Nearly two decades later, the young Muñoz Molina would be drawn to this same city while working on his novel. Unfortunately, Muñoz Molina isn’t able to maintain this momentum to the end of Like a Fading Shadow. As fascinating as it is frustrating, the book’s final phase peels back a new layer as Sneyd recreates a “fictionalized” account of his own actions after he’s (inevitably) caught. This is a heady turn for the novel and one that is in line with the author’s overarching thesis about telling stories in order to hide, but the more enjoyable and impressive elements of the book fade away in order to hammer in these ideas. What remains is a powerful but conceptually baggy novel about the author as fugitive, unraveling through layers of hidden history.